Union workers are entitled to overtime pay. Do not be misled by a common misconception perpetuated by employers and/or management: a Collective Bargaining Agreement (“CBA”) or Memorandum of Understanding (“MOU”) does not trump the overtime rights of union workers under the Fair Labor Standards Act (“FLSA”), the federal wage and hour law. Thus, regardless of the what a contract may state, your employer must comply with the FLSA, as well as any applicable state wage and hour laws. The FLSA applies whether the unionized employees are in the public or private sector. Our law firm has represented union workers in a variety of different overtime claims, including (1) failure to pay for pre- and post-liminary work necessary to the employees’ duties; (2) automatic lunch deductions for employees who working through lunch; (3) deductions for employees whose lunch breaks are frequently interrupted by their job duties; (4) time clock issues, such as being required to perform work off-the-clock, whether before or after a shift, on weekends, at safety meetings, or any other time an employee is not paid for work or work-related activities; and (5) failure to compensate employees for on-call or wait time or travel time. Because employees already are united through their union membership, unions present a unique opportunity for helping the largest number of similarly affected employees who have all suffered the same wage violations. Additionally, the Fair Labor Standards Act provides for the prevailing party employee’s attorneys fees and costs to be paid by the employer. Thus, as an alternative to the union dipping into its own dues to hire counsel, the Shavitz Law Group typically handles unpaid wage claims, including unpaid overtime claims and working-off-the-clock claims on a pure contingency fee basis whereby the fees and costs are a percentage of the successful recovery that the Court approves. 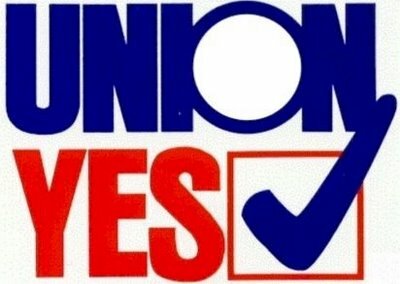 Our lawyers frequently work with union leaders and shop stewards to educate and inform union employees as to their overtime rights. If you are a union employee, union leader, or shop steward and believe our law firm can assist your union in any wage and hour matters, please do not hesitate to contact the Shavitz Law Group.